AP2 is a heterotetrameric clathrin adaptor complex that owns important roles in vesicle generation and cargo recognition. Cell-wall integrity (CWI) pathway is essential for fungal development, virulence, and adaptation to environment stresses. To date, the relationship between AP2 and CWI is largely unknown in phytopathogenic fungi. 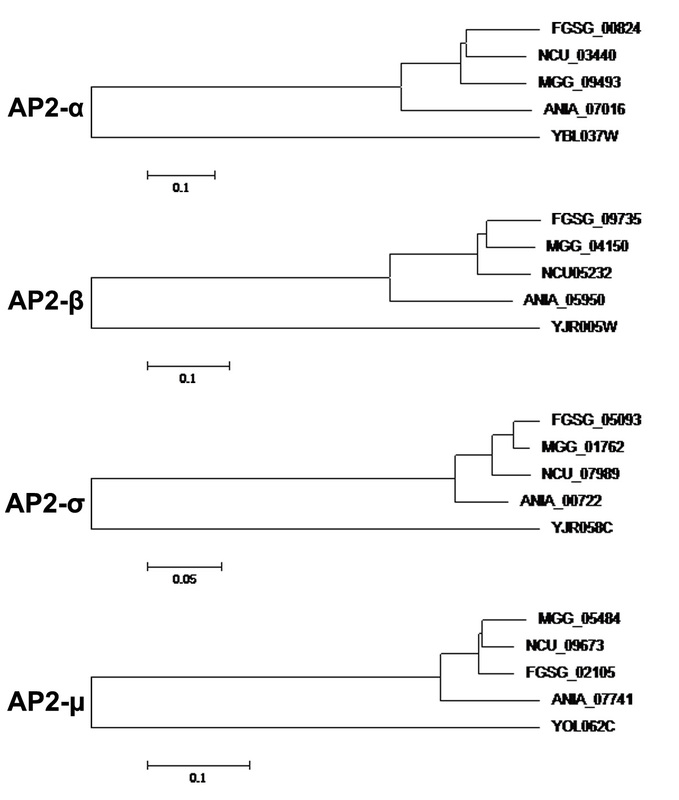 In this study, we identified the adaptor complex FgAP2 in Fusarium graminearum. The biological function analysis showed that FgAP2 complex contains FgAP2α, FgAP2β, FgAP2σ, and FgAP2μ, and the subunit FgAP2μ, which is required for hyphal growth, conidiation, CWI, and virulence. Yeast two-hybrid showed that FgAP2μ interacts with the CWI sensor FgWsc2B. Consistently, western blotting analysis revealed that FgWsc2B positively regulates phosphorylation of FgMgv1, the MAP kinase of CWI. 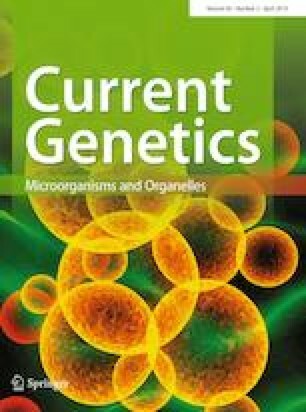 Moreover, the FgWsc2B deletion mutant exhibited defects in hyphal growth, virulence, and response to CWI damaging agents. Taken together, our data indicated that FgAP2μ is involved in CWI and virulence via interacting with FgWsc2B in F. graminearum. The online version of this article ( https://doi.org/10.1007/s00294-019-00961-3) contains supplementary material, which is available to authorized users. This research was supported by the National Key R & D Plan (2017YFC1600904) and China Agriculture Research System (CARS-3-29).